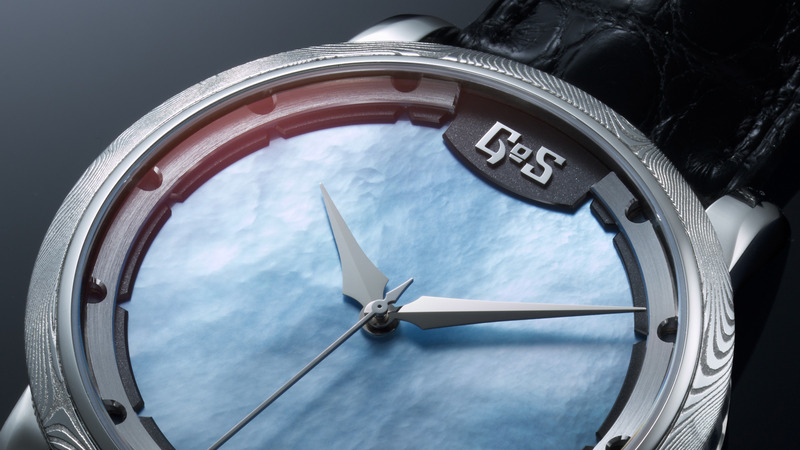 GoS introduced the Sarek collection in 2016 with dial patterns that emulated the elaborate and ever-changing waterways in the Sarek National Park. 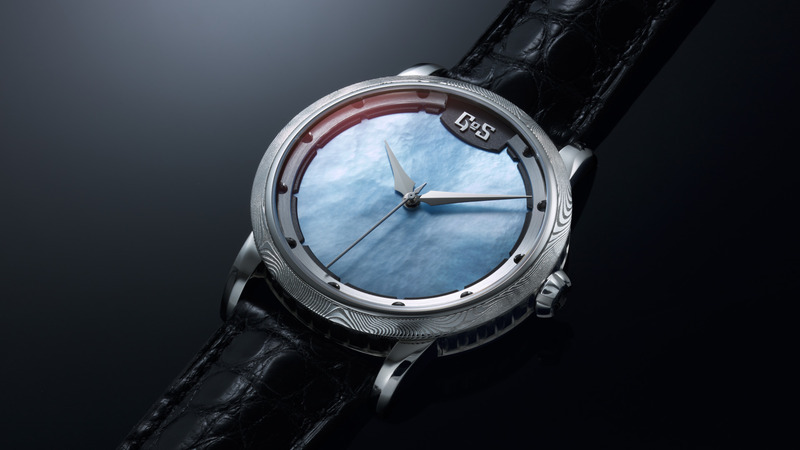 A number of variations and bespoke elements have since then been introduced as well as dials that resemble the famous northern lights of Lapland. Northern lights are by far the most famous light phenomenon of the north, but the colorful Autumn Sunsets can be just as spectacular. 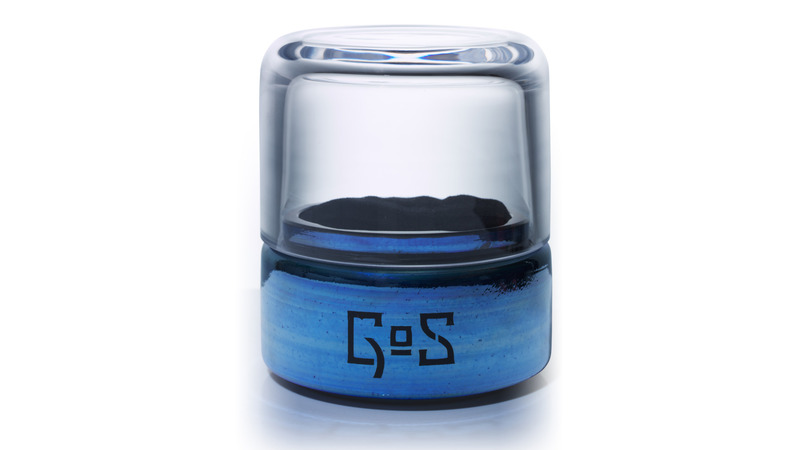 GoS tempered damascus steel dials have deep and dynamic colors, but one limitation is that they do not emit any light. Mother-of-pearl is translucent and let both color and light through the material. 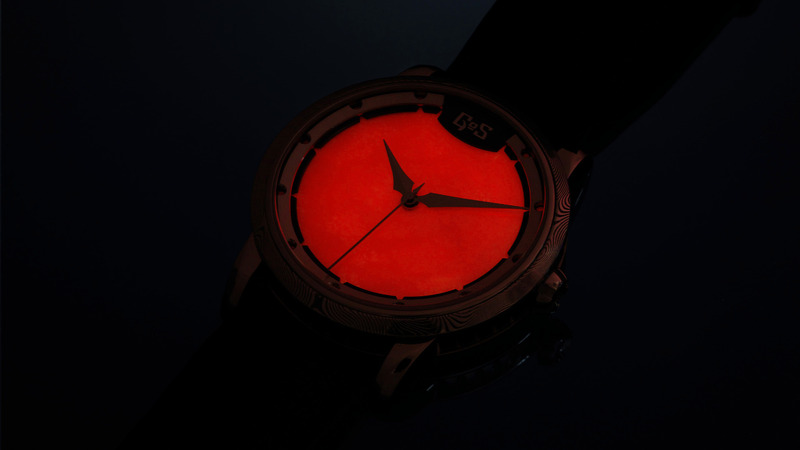 GoS is the first watch brand to use this property and present mother-of-pearl dials that glows in colors. Patrik Sjögren has developed the combination during two years to perfect two favorite themes, sunset orange and ice blue, as seen in glaciers and thick ice. 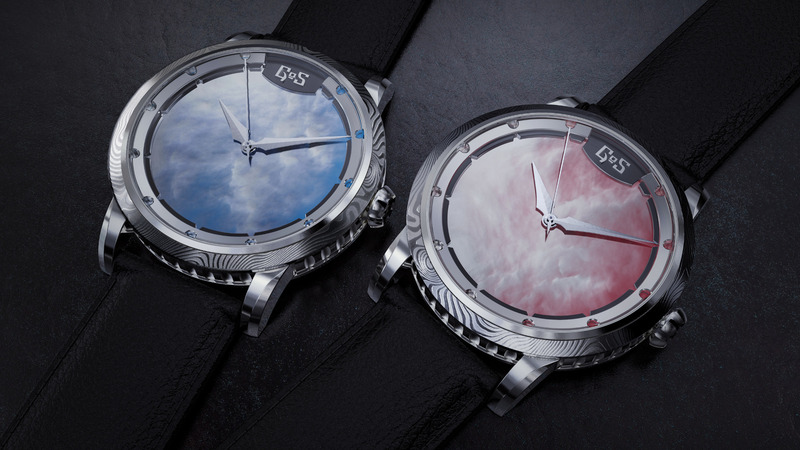 The elegant and colorful dials are framed with a bezel made from Swedish stainless damascus steel. GoS watch straps normally are made from moose leather sourced by GoS. However, the Sarek collections dress watch qualities are sometimes better matched with a tapered strap in a more glossy leather. 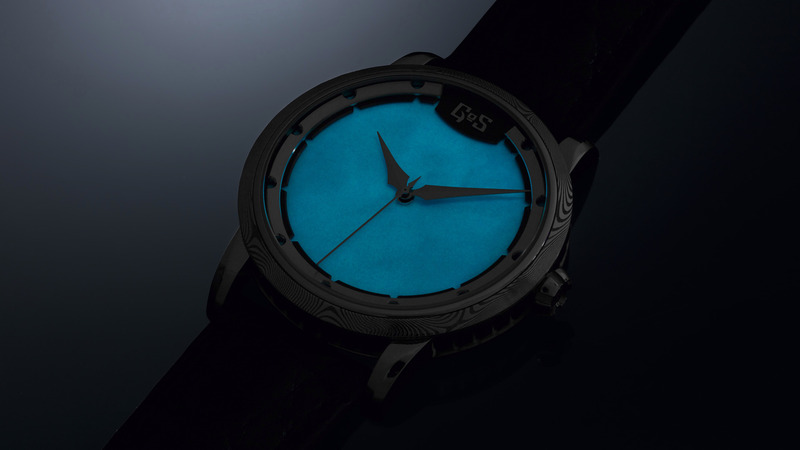 We now offer alternatives to further personalize the watch in both leather qualities and stitching to match or contrast the dial´s color range. 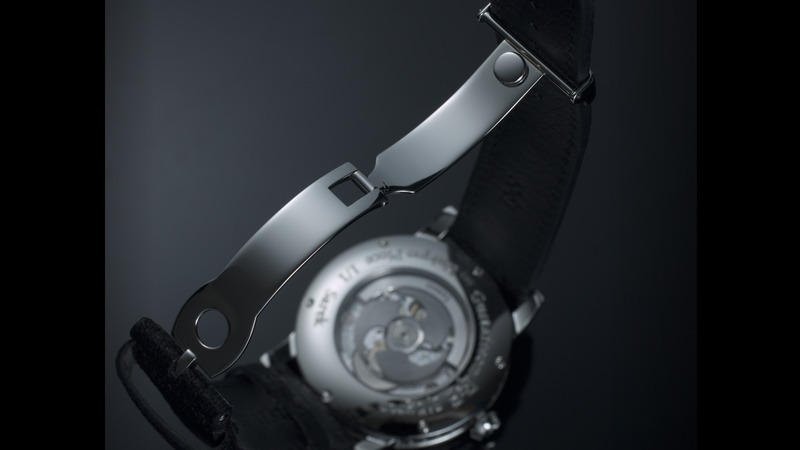 The deployant buckles are Swiss made and supplier´s patented and elegant snap lock mechanism has been proven to be flawless by major premium watch brands. 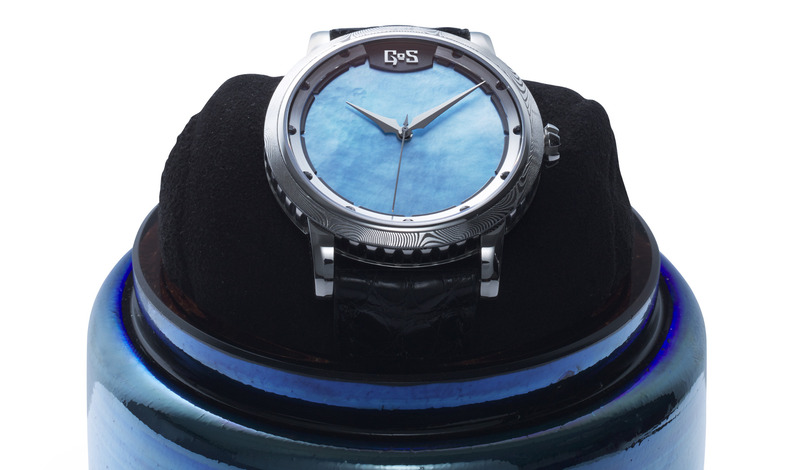 The watch is mounted on a soft cylindrical pillow made from reindeer suede which is secured inside the crystal box. 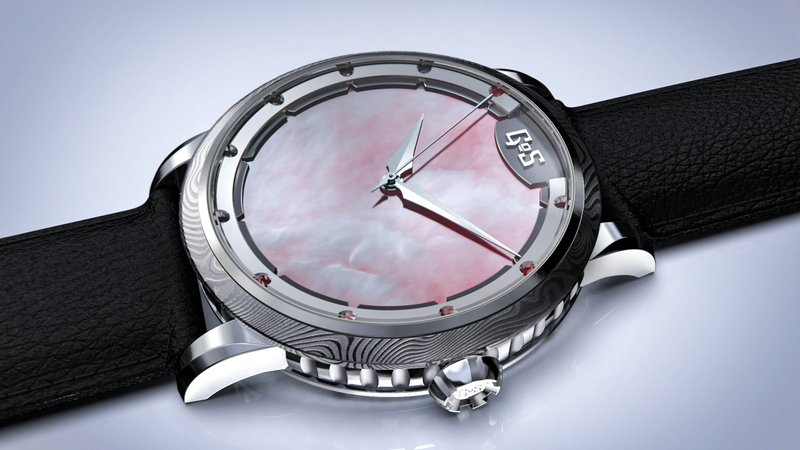 Movement: Soprod A10 with GoS triskele rotor, dark satinized and with addititional counter weight in hand finished German silver and engraved "Glacier" or "Sunset". Dial: Multi-layered dial with premium white mother-of-pearl and Swiss Super-LumiNova for the best available afterglow and colored luminescence. 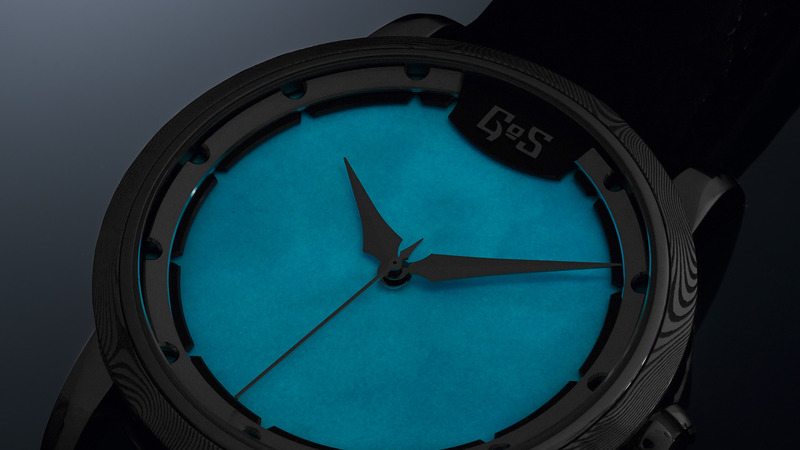 The dials are manufactured and assembled by hand in the GoS workshop. 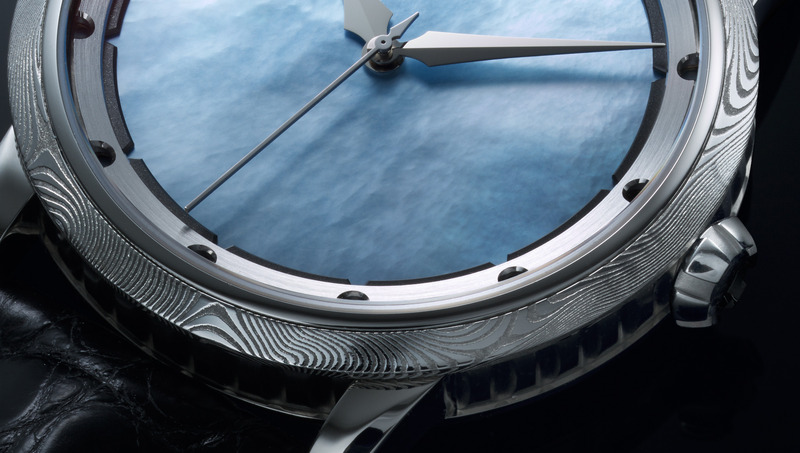 Bezel: Stainless damascus steel from the masters at Damasteel in Söderfors Sweden. 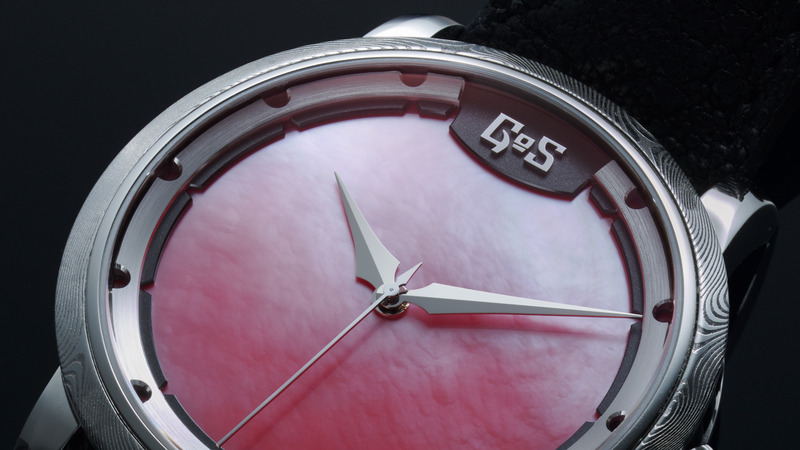 The bezel is manufactured and finished in the GoS workshop. Index ring/rehaut: Two layers combining previous GoS design with inspiration from viking bracelets. 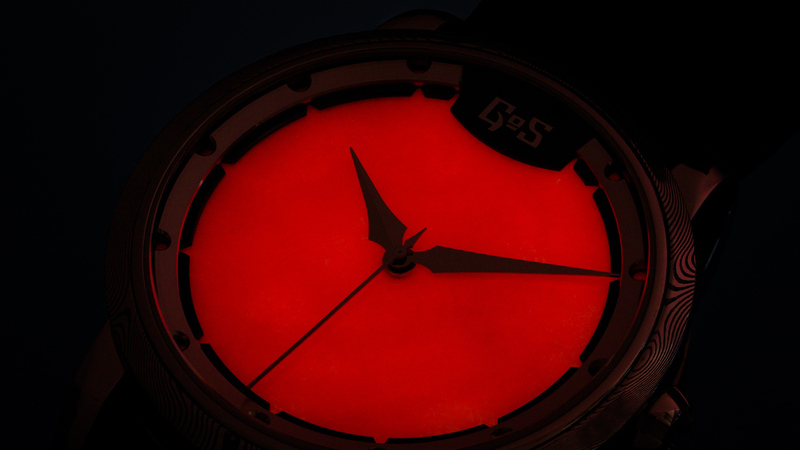 The hour markings are opened to show the color and light from the dial. Case finishing: Stainless steel, worked and finished with inspiration from viking bracelets. 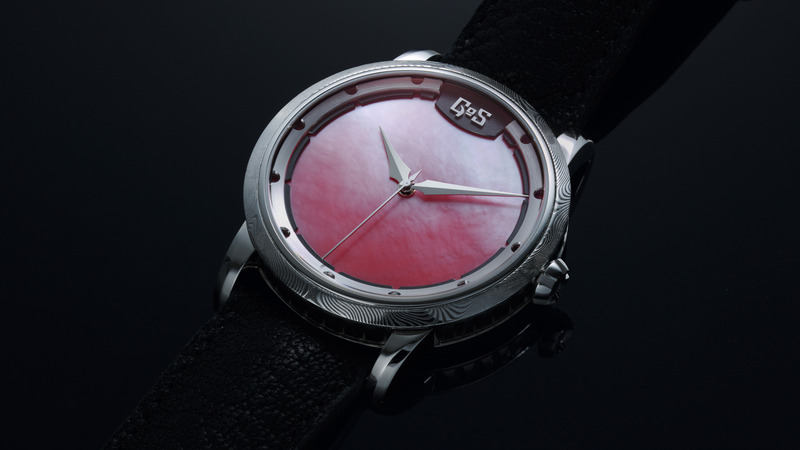 Optional scroll engraving on bezel by Swedish master Stanley Stoltz. Strap: Handcrafted and tapered 22-20mm strap in premium Moose leather, fitted with premium GoS 20mm Swiss made folding buckle in stainless steel. The retail price of Sarek Sunset and Sarek Glacier is US$8,500 + applicable taxes. Production limited to 10pcs for 2019 due to current GoS workshop capacity and pre-orders taken for first deliveries in May 2019.